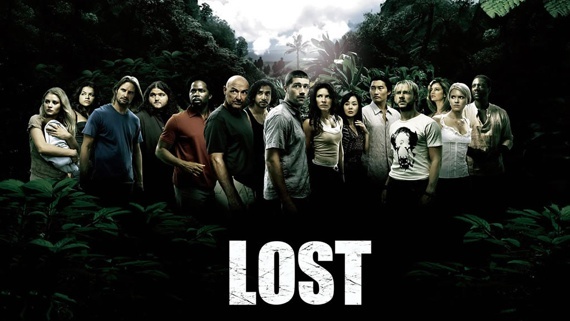 Lost Season 2: "The Long Con"
Last episode Charlie let me down, and now it's Sawyer! I guess that's what I get for cheering for the guys with the questionable pasts. Sawyer shows his skill at the con by stealing all the guns. While I disapprove of his methods, I can't say I'm too upset that Locke and Jack aren't in charge of them any more. Jack gets a little too driven by his emotions (and possible Ana Lucia) and Locke does everything based on what he sees as best, which hasn't always been in others' best interests. It'll be interesting to see how long the power struggle lasts though, because the triangle of Jack, Locke and Sawyer can get pretty tense. And now you have to throw in the secretive Charlie now, who is seeking Locke's downfall. Perhaps the Lord of the Flies reference will be apt soon enough? Whatever happens though, I think I can still count on a somewhat civilized resolution. 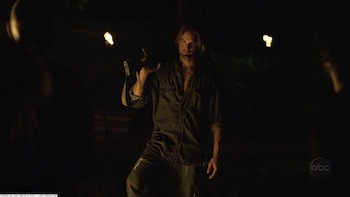 Like I've said before, Sawyer, though not always the greatest, tends to make the right choice when it really matters. Maybe I just like rooting for Sawyer and Charlie's possible redemption, but I really want these guys to change. I really wish they could be able to. Maybe that's part of redemption though; it takes time, and people will slip back, no matter how much grace they are given. It's part of human nature. I'm really hoping that Sawyer and Charlie can take this opportunity to turn their lives around. Whether the island is a form of purgatory or not, it's providing tests of their character, and with each test they are given the opportunity to choose bad as well as good. Let's just hope that eventually the good wins out!